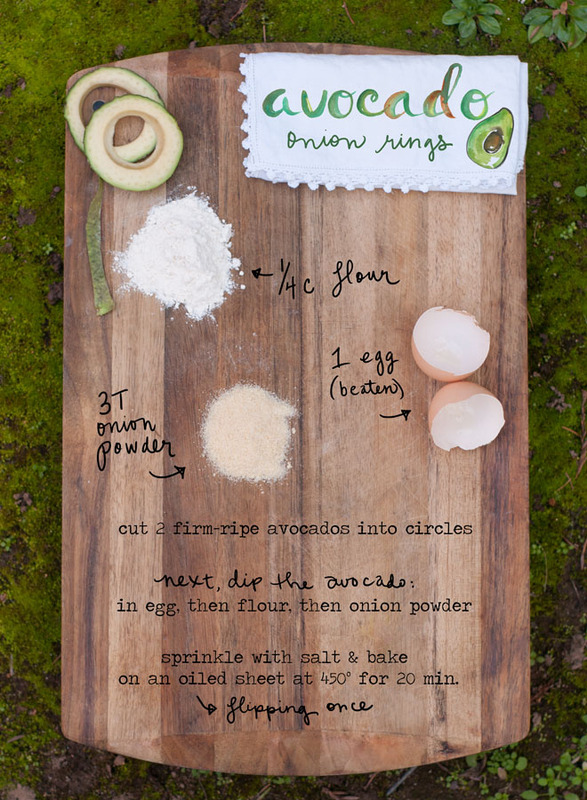 These Avocado Onion Rings can be baked or fried and are great with any dipping sauce (I like tahini). If frying, just brown both sides in olive oil on medium in a non-stick pan. Cutting them into rings works best if the avocados are firm-ripe. Enjoy!